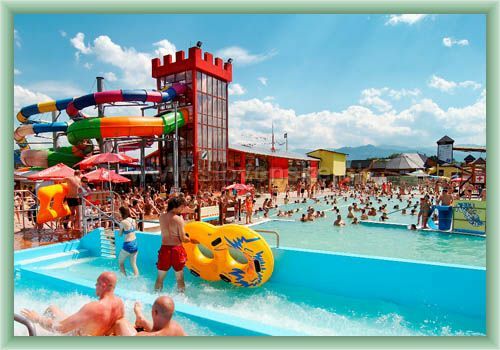 Tatralandia Holiday Resort Aquapark Tatralandia is the largest round-the-year water fun area in Central Europe. 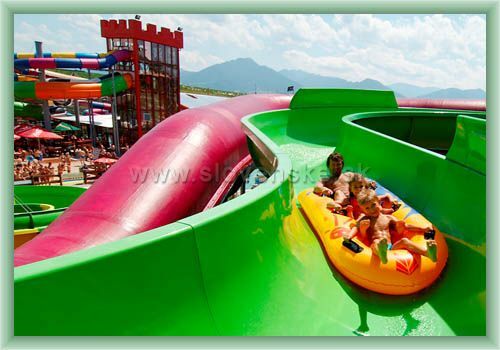 It is situated in the region of Liptov. This part of the country abounds in cultural monuments and is known for its typical folk architecture and folklore. 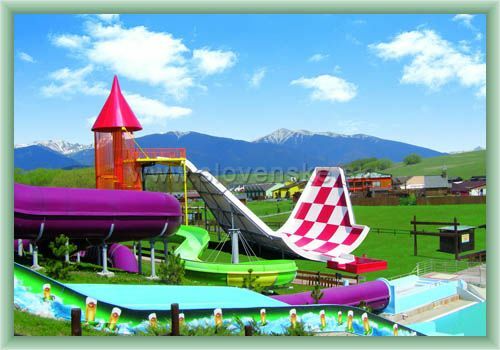 Liptov is surrounded by the highest mountains in Slovakia. 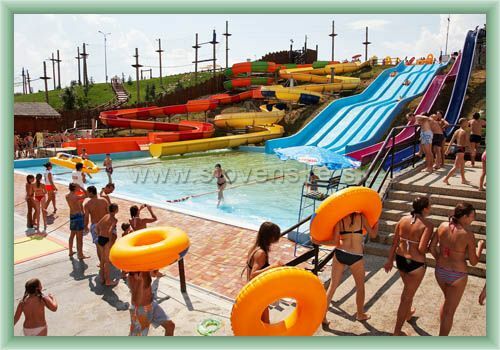 AQUAPARK TATRALANDIA offers 11 pools - 8 round-the-year pools, 3 summer pools with thermal and crystal clear warm water with a temperature of 26-38°C and many water attractions. 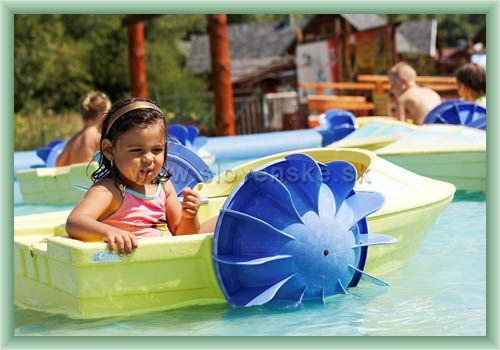 29 water slide tracks and water slides, raft U-slide BOOMERANG RAFT RAMP - 9 round-the-year. 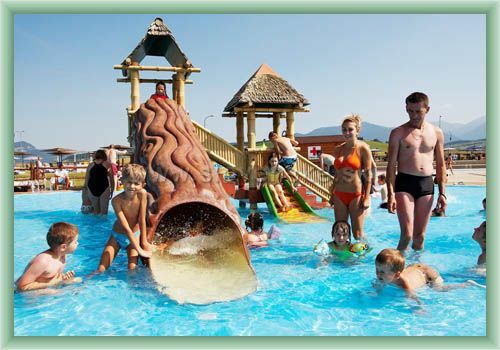 The Pirates’ of the Caribbean Island – a unique tropical wellness with pools and a view of the Tatra mountains. The World of Saunas – Tatra-Therm-Vital – a complex comprising 16 steam, water and massage baths, saunas and procedures. 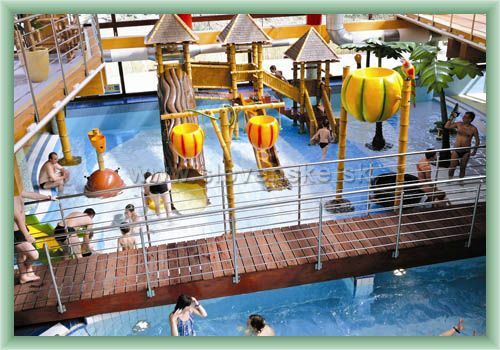 Wellness Paradise - a complex comprising massages, baths, wraps and other medicinal or relaxation procedures. Showland – daily animation programmes. Tarzánia – the hurdle rope track. 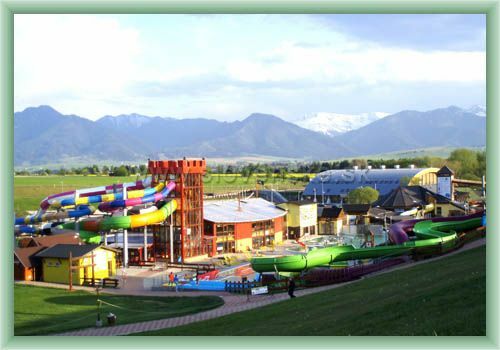 CONFERENCE CENTER - The Tatralandia Holiday Resort offers complete organization of company events, trainings, congresses, team building activities, presentations, sports training sessions, or other events including catering, rent of premises, technological equipment and decorations.